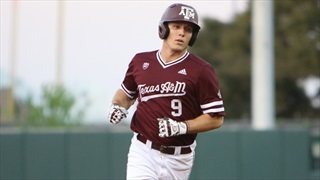 Texas A&M took another tough midweek loss to Houston on Tuesday night. Now the Ags head out to Columbia, South Carolina for a three game set with the Gamecocks. 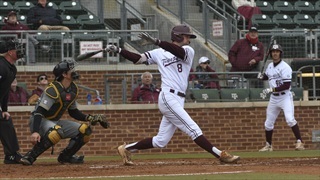 The Aggies struggled on the mound and at the plate in a poor Saturday performance against Auburn, losing 7-0. The team will get a chance to bounce back and win the series on Sunday afternoon. 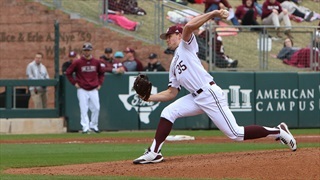 The Aggies and Tigers threw their two best pitchers on Friday night, but it was John Doxakis and Texas A&M who got the win. 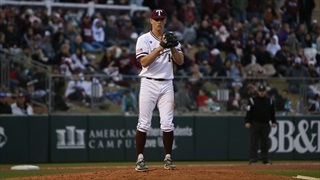 Timely hitting combined with the strong outing for the Aggie starter led the team to victory on Friday. 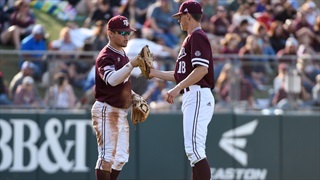 Texas A&M has lost their last two contests, but despite that, the Aggies are confident that they can put that behind them and focus on hosting a very stout Auburn team this weekend. 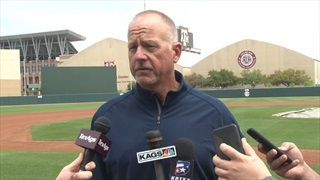 During Tuesday's edition of TexAgs Radio Aggie baseball head coach Rob Childress joined to recap his team's 2-2 week against Texas and LSU and to preview this weekend's matchup with the Auburn Tigers. With first place in the SEC West on the line, the Aggies will take on the LSU Tigers in Baton Rouge. David Sandhop gives his thoughts on the weekend as he offers his take on a top 15 match up. 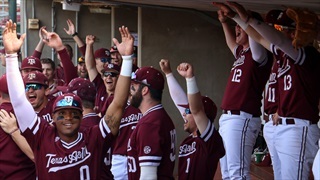 Fresh off of an emotional win in the rivalry game over Texas, Rob Childress and the Aggies turn their attention towards LSU and a three game series that will have huge SEC West implications. 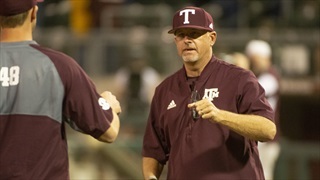 The Aggie offense came alive again against the Longhorn on Tuesday night in Austin. The team wracked up double digit hits and held their lead against the Horns throughout the game and came away with a 9-6 victory. 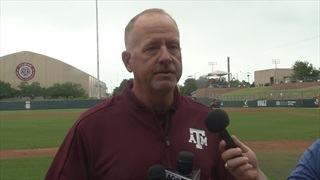 During Tuesday's edition of TexAgs Radio Aggie baseball head coach Rob Childress joined to recap his team's series split against Missouri and to preview tonight's matchup with the Longhorns at Disch-Falk Field. For the second consecutive game, the No. 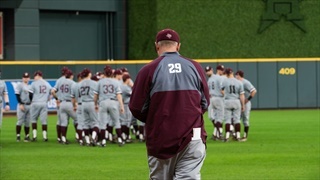 10 A&M baseball team went into extra innings on Sunday. However, this one wasn't decided in extras as it ended in a tie due to travel restrictions that ended the game in a 2-2 tie in the tenth inning. Asa Lacy was masterful against Missouri through seven and two-third's innings. 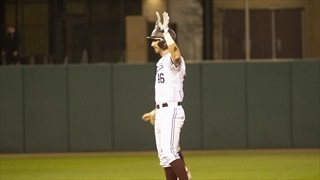 Unfortunately, The Aggie bullpen blew the lead in the ninth and gave up the winning run in the 15th inning to end the eight game winning streak. The No. 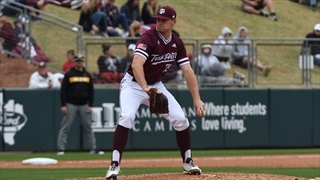 10 Aggies used a five-run eighth inning to take down Missouri in the first game of the Aggies' three-game home series against the Tigers. 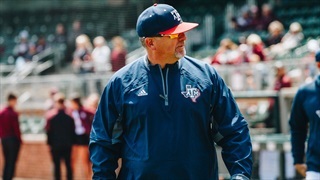 The win marked the Aggies' eighth consecutive win. Texas A&M is riding high after defeating Lamar on Tuesday night and extending the winning streak to seven games. 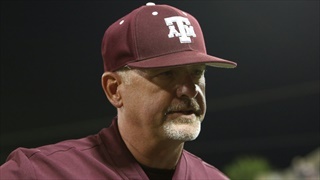 Now Rob Childress and the Aggies turn their attentions to Missouri and a promising pitcher's dual this weekend. Despite a rocky game overall for the Aggies, the team was able to get it done and secure a win behind productive offensive performances from Hunter Coleman and Zach DeLoach. The victory extends the Aggie win streak to seven games. 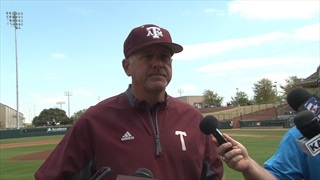 During Tuesday's edition of TexAgs Radio Aggie baseball head coach Rob Childress joined discuss his team's three-game sweep of Kentucky in Lexington and Braden Shewmak's hot-streak at the plate. After bouncing back to win last weekend's series against No. 1 Vanderbilt and taking down Rice on Tuesday night, the No. 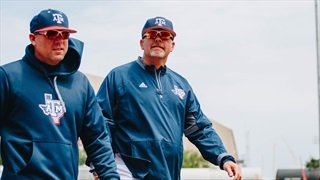 13 A&M baseball team is red hot. 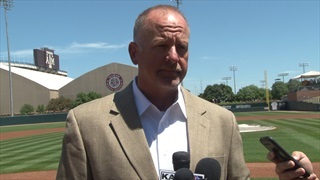 Rob Childress and select players previewed their first SEC road series at Kentucky on Wednesday. 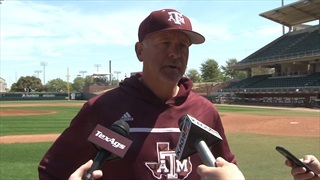 During Tuesday's edition of TexAgs Radio Aggie baseball head coach Rob Childress joined discuss the Aggies gutty SEC-opening series win over Vanderbilt and the outstanding performance from Christian Roa on Sunday. 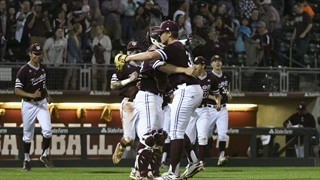 The 19th ranked Aggies were able to work a comeback against top-ranked Vanderbilt, ultimately winning in walk-off fashion, 8-7. 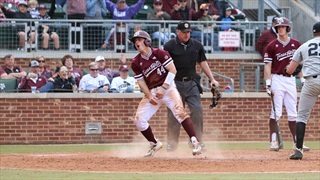 Jonathan Ducoff singled in the winning run for Texas A&M in the bottom of the ninth.